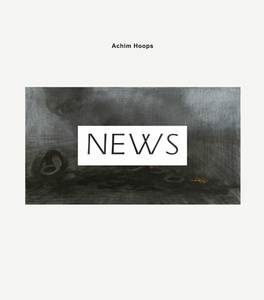 While looking at the works of Achim Hoops, something inevitably happens; one tries to place them in a larger narrative context. We see them as “stills” – as stationary images from a movie – and we try to guess from which movie these scenes might come. In fact, the drawings often underly a particular movie, but even passionate movie goers have a hard time figuring out this riddle. It is landscape, streets, interiors, images of and in buildings that – robbed of their narrative context – illuminate how important the “simple” setting within a film is and how much the content, atmosphere and aesthetic of a film are transported through these images. Hoops does not portray people and, therefore, no agent as such. In this way, he give the room the possibility to become the protagonist. A “good” film-room is not only a distinctive place that makes it easier for the movie goer to orient him or herself, but rather also a reflection of temporal, interpersonal and spatial coherencies. Often, it is the scenes at night that Hoops recreates. As the viewer, one believes to be in a intermediate realm: day and night, dream and consciousness, film and reality. Every drawing acts transitory. If the viewer sees the drawing of stairs – a small wall light offers just enough illumination to cover the scene is diffuse lighting – he feels the latent suspense, mediated by an uncertain Where. One believes to feel a tense silence. Other scenes suggest noises: the sound of motors driving on a rainy street, the crackling of the firs, the breathe of a person standing at the window. A film is set in motion in one’s mind; moving images. The emptiness is filled with memories of one’s own and of films one has seen. Hoop’s rooms are like a stage and our phantasy is the script. Just as Edward Hopper’s paintings were inspired by the American film noir of the early 40s, so do Hoop’s rooms in their chiaroscuro-style lighting and their geometric order, seem to be filmic. 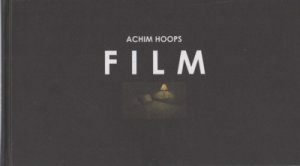 In their consequent aestheticisation of the filmic, Hoop’s drawings become condensed film memories.